As the editor of 3 Menus of the Master coffee table cookbooks, I love getting recipes and would one day like a career that keeps me longer in the kitchen. 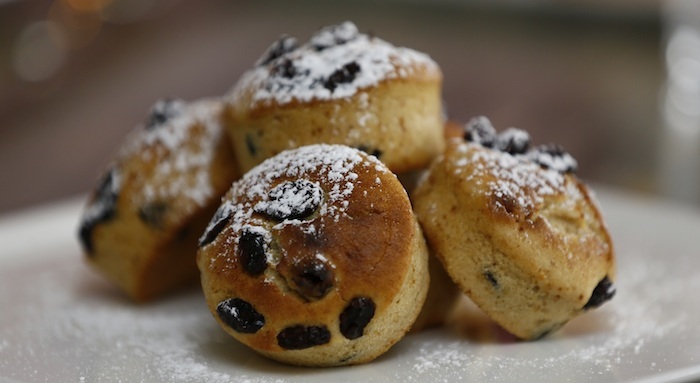 This Ramadan, check out some awesome recipes from Ocean Spray – delectable! Keep the butter out at room temperature to soften it. Combine all ingredients together in large bowl and mix with hands. Roll small balls with dough and place on baking tray with baking paper. Press down the balls and bake for 10-15 minutes. Chop onion, apples and dates. Sauté onion, apples, dates and cranberries with butter in a deep pot. Add sugar, spices, vinegar and orange juice to pot. Cut baguette bread into thin slices and sprinkle with olive oil. Bake in the oven until dry. Cut goat cheese into rounds. Put goat cheese on cracker and broil in oven. Chop the bacon and cranberries. In a pan cook bacon and cranberries together. Strain bacon and cranberries and let it cool. Whisk eggs, cream and seasoning. Mix all ingredients together and put in an individual oven pan. Chop onion, cranberries and coriander. Mix with olive oil and lemon juice. Season salmon and seal on the pan. Finish cooking salmon in the oven. 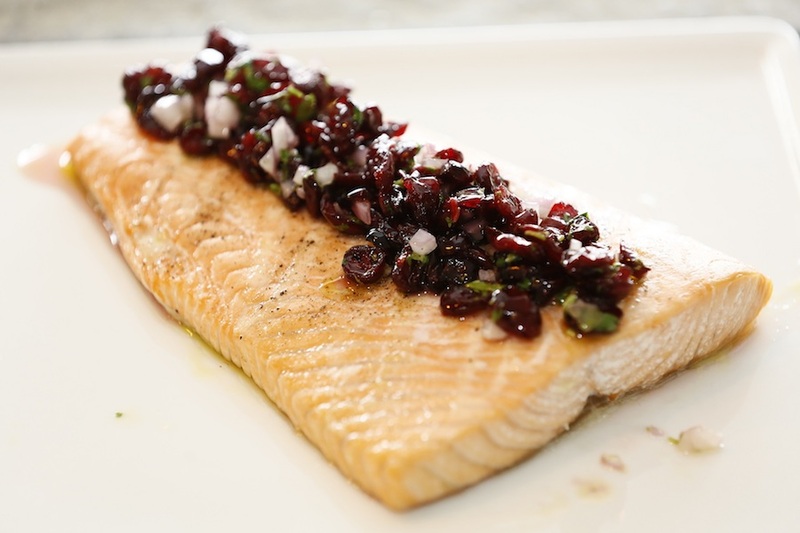 Garnish salmon with cranberry salsa. In large pot sauté onions with olive oil until they become translucent. Add cranberries and rice and stir until rice is covered in oil. Add chicken broth and seasoning. Bring to boil and cover. Reduce heat to simmer and keep until rice is cooked (about 22 minutes).